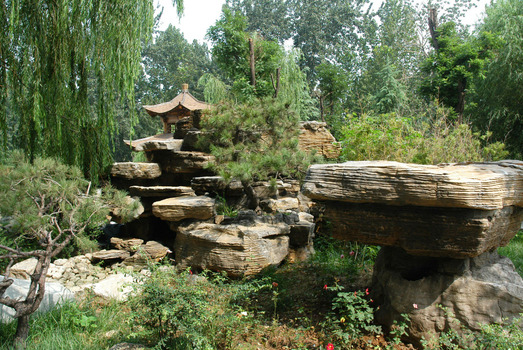 The Chinese province of Shandong is best known for the UNESCO World Heritage Site of Tai Shan or Mount Tai. The region is steeped in history and has many shrines, political monuments, and pilgrimage sites that identify the region as a prosperous one. In fact, the mountains are the site of Qin Shi Huang’s coronation who was the first Chinese emperor in the year 219 B.C. Since ancient times, there has been a culture of grandeur, artistry, and religious faith in the Province. The eastern province of Shandong is a wonderful tourist destination because it has a mix of irresistibly beautiful natural landscapes. The western region is dominated by the mighty Tai Shan. Towards the east, the land curves into a lovely peninsula that forms a 3,000Kms long coastline dotted with a multitude of bays, beaches, and islands. The peninsula is flanked by the Yellow Sea and the Bo Sea on either side. 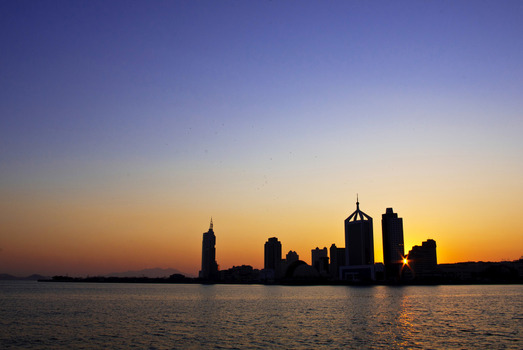 The archipelago of little islands forms a charming border between Shandong and the provinces of Hebei and Jiangsu along the north-south axis. The Yellow River flows down the mountains in the west towards the coast in the east, leaving behind a trail of alluvial soil and lush greenery. The irrigation system of the Grand Canal passes through Shandong Province from the northwest towards the southwest direction. The Province is blessed with another picturesque water body, namely the Weishan Lake. 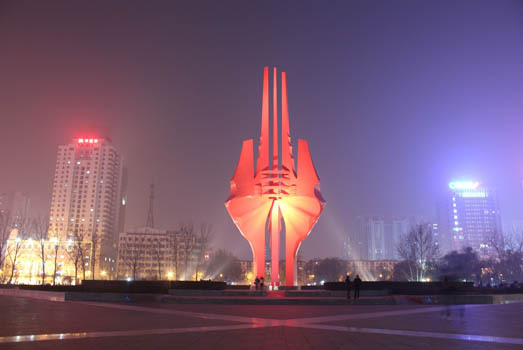 The Shandong Province has a warmly-temperate climate with hot summers, heavy monsoon rains, and pleasantly cool winters. Temperatures remain steady between 11oC and 14oC with not many extreme variations. The Province is a beach lover’s paradise with its warm seas and abundant sunshine. The mountains are a great site for naturalists, photographers, trekkers, and lovers of adventure sports. Since ancient times, towns have sprung up in the central districts as well as the mountains. The predominant occupation was agriculture and the majority of the residents were farmers cultivating wheat, sorghum, maize, and cotton. Consequently, Shandong Province is the largest exporter of agricultural products in China. With the coronation of the first Chinese Emperor on Tai Shan, the western mountainous region developed into an affluent society and tourist spot. The mountains also have rich deposits of gold, diamonds, and sapphires; thus adding to the wealth of the region. Today, Shandong Province has an immense population of 92 million, most of which is spread over 49 well-developed urban areas and metropolises. 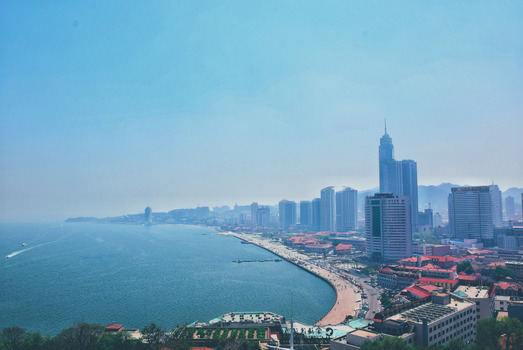 Besides Jinan, the provincial capital, Shandong has many famous cities like Qingdao, Weifang, Tai’an, Jining, Weihai, Xintai, Zhucheng, Qingzhou, Qufu, Yucheng, etc. These urban areas are centers of commerce, trade, industrialization, export, tourism, mining and refining, agro-processing, etc. But the biggest production of the Province today is home appliances and many world-famous brands have originated here. Their Information Technology is very advanced and is comparable with that of Bangalore in India. Archaeological excavations in Shandong Province have unearthed exquisite pieces of black pottery that date back to the Neolithic period of the Dawenkou and Longkou cultures (4,000 to 7,000 years old). The relics show that it was an advanced and prosperous society with animal husbandry and farming as the main occupation. They were evidently fond of pottery-making and art. The lower reaches of the Yellow River in the Shandong Province have been the center of Taoist, Chinese Buddhist, and Confucian religious practices, which are still followed even today. The Buddhist temples in the Province have the longest history of being pilgrimage sites. 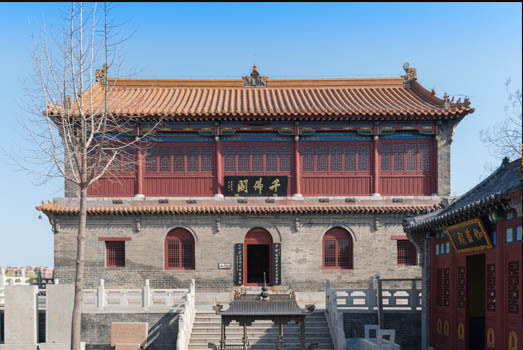 The city of Qufu is the birthplace of Confucius and a popular tourist destination. 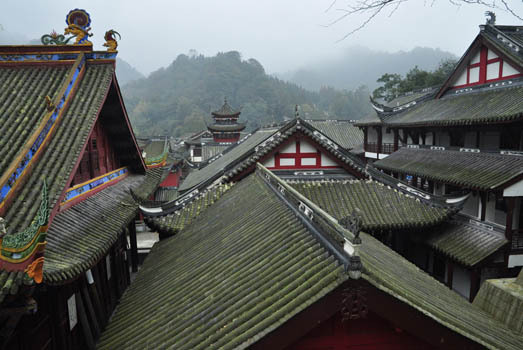 In fact, since ancient times to date, the Province has some of the best temples and even the Tai Shan range is considered holy. Other evidence of its rich history is the Oracle Bone scripts (oldest Chinese script) and the Great Wall of China in Shandong Province that is believed to be the oldest part. Being on the Silk Route, the Province has also been a major producer of silk in China. Besides the beautiful pottery and ornate architecture, the people of the region also have a flair for fine arts. The Bangzi and Luju forms of Chinese operas have originated from the southwestern districts of Shandong. There are two major arterial railway routes with multiple connections to ensure that the transport system covers even the remote places in the Province. With a total length of 3,000Kms, the network of expressways in Shandong Province is believed to be the finest in China. Besides the Jinan Yaoqiang Airport and Qingdao Liuting International Airport, there are six feeder airports that provide numerous domestic and International connections to major cities in China and overseas. The countless harbors, bays, and ports along the peninsula form a strong water-based transport system serving both cargo and passenger liners. There are ferries plying between Shandong and the Liaodong Peninsula as well. Qingdao City has an excellent metro system for the convenience of the tourists that visit the region from all parts of the world. The 7,600 dinosaur fossil bones found in the town of Zhucheng are believed to be the largest collection of fossils in the world, of which the T-Rex and Ankylosaurus fossils are a magnificent sight. 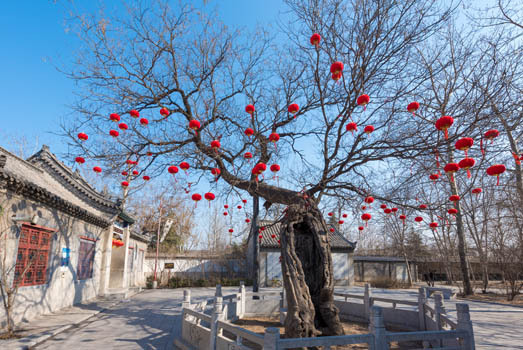 Other tourist attractions in the region include the Mou's Manor, Badaguan (Eight Passes), Daming Lake, Changdao Islands, Liugong Island, Baotu Spring, Mount Laoshan, Penglai Pavilion, Confucian Temple, Tai Shan Scenic Area, etc. The cuisine in Shandong is an interesting mix of ingredients like birds (game), maize, wheat, oats, peanuts, barley, mushrooms, seafood, river fish, pork, and vegetables. They use methods like quick-frying, stir-frying, braising, deep-frying, stewing, steaming, and roasting for their dishes. The method of adding flavor by crystalizing ingredients with honey is a common practice and makes the dishes extra special. Braised Sea Cucumber with Onion, braised prawns, steamed chicken wrapped in leaves, pig’s large intestines braised in soy sauce, beef ribs in black pepper sauce, egg yolk pastry, Four Happy Meatballs, braised intestines in brown sauce, Dezhou stewed chicken, dumplings wrapped with shrimp meat, stir-fried scalloped pork kidneys, etc.